I had one of the most incredible experiences last week doing a Guided Journey Into Spirit for a client. Her name was Linda and has been a client of mine in the past, but never before had she sought out answers from the spirit world. She contacted me be hear she really wanted to here from her departed father and any other spiritual beings that wanted to connect with her. Linda did her part by meditating before our appointed time and having herself in a good place spiritually so that she was more receptive to the process of Hypnosis and Astral Projection. Once Linda and I were connected by phone I did the Hypnosis to get her in a complete state of relaxations so that she could do the ASTRAL PROJECTION with me. I could feel that she was totally with me and together we entered the Spirit World. She was led along a path and we came upon a cottage where a guide was waiting at the front door and opened it for us to enter. It was a lovely little cottage with a beautiful fireplace and a large sofa in front of the fireplace. Linda sat down and proceeded to take in the total environment. After a while a person entered the front door and came to her and stood before her. It was her father and they had a long conversation. During this process I do not hear what is going on, I can only see as my purpose is to be the guide. When they had finished talking her father sat down on a chair in front of the sofa. Next I heard two children at the front door and the guide let them in. They immediately went and sat next to Linda, one on each side of her. I had no clue as to who they were, but it seemed like there was a lot of talking and I waited for them to finish. There followed a few other spirits and one of her Guardian angels. Each one sat and talked with her. When all of the talking was finished they started dancing around arm in arm around the room. I knew when it was time for us to leave and I took her back through the process that we took to get into spirit and put her back into her body. I told her it was best if we did not talk and that she would benefit the most by sleeping afterwards. The next day I called as I wanted to know what the experience was like for her. She was overjoyed with everything that happened. Apparently she got all the answers she needed from her father that she had wanted for so many years. Now comes the amazing part. She told me that the two children that set next to her where the children that she had miscarried and that they wanted to meet with her and talk with her. She said that it was the most incredible experience of her life. She had no idea that they would show up and was basically blown away by the fact that they came. I had no idea who those children were until she told me. As I said I’m just the guide and I’m not permitted to listen to what is being exchanged in this process. She said that she did go to sleep afterwards and that for the first time in years she slept all night without any medical drugs. I spoke with her again a few days later and she said she still had the peaceful feeling from this experience. Now that she has seen a place that is hers in spirit she can go back at any time and she says she finds herself going back and she just enjoys sitting in the little cottage and feeling the peace. I never know what is going to happen when I do a guided journey into the Spirit World and this was one of the most rewarding ones that I have ever done. I wanted to share this with you so you can understand that the Spirit World can communicate in many different ways and this is one of them. Being a spiritual advisor I have talked to many ladies over the years who feel deeply emotional about having an abortion when they were younger. I feel that this guided journey can help heal the grieving that some women experience over abortion. I believe that we are spirits before we come into this life and we return to spirit when we die. For those of you that want to connect to the spirit world you can do this journey with me. If you are interested CLICK HERE for complete information. When a famous person dies suddenly it stirs up people’s thoughts about life after death. With the sudden passing of Whitney Houston I felt that this article would be appropriate for many. Death is a universal experience. No one can hope to escape it. It is only a matter of time till it comes to each one of us and those we love. Most death beds are peaceful when the time comes and few go out struggling. What, then, is it we fear in death that it should be for us a thing of grief and dread? What I learned there could never be captured in a book. Not only did we study we were taught how to practice such work as, meditation, hypnosis, sensory touch and feel, astral projection (out of body experience), crystal therapy, and energy channeling. You may ask why that would change my view. The more I practiced this alone, the more it became natural and real for me. 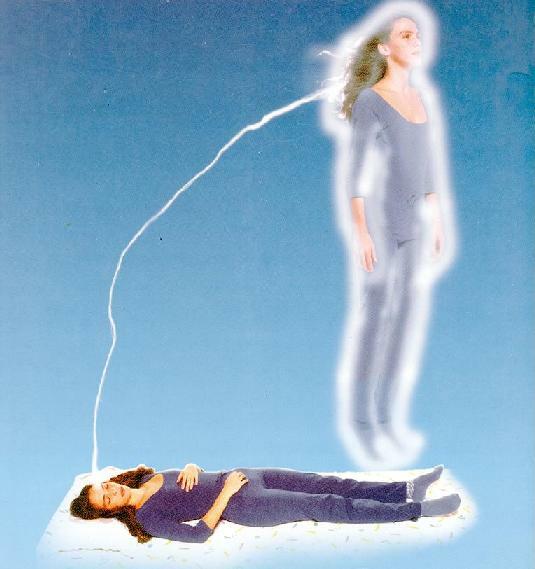 Astral projection is an out-of -body experience that can be achieved either during sleep, lucid dreaming, hypnosis, deep meditation or conscious projection. During astral projection the consciousness leaves the physical body and moves into the Astral or Etheric body in order to experience and learn. Would you like to learn how to fly the Astral Skies? You can read this whole article by clicking here.